Thank you to the Sunrise Drive staff, families, & community partners for their support at the 6th Annual Spring Festival! Please click the link below for a recap. 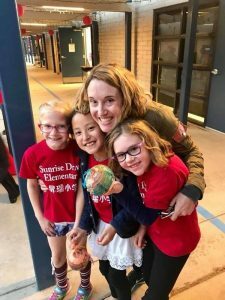 We have many opportunities for Sunrise Drive families to become involved in programs and events throughout the school year in the Chinese Immersion program! 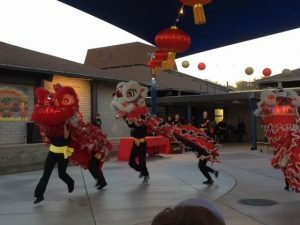 Our biggest Chinese Immersion event is the Spring Festival, traditionally held in February. Stay tuned for information on next year’s festival, the Year of the Rat! Contact sunrisespringfestival@gmail.com if you are interested to get involved! 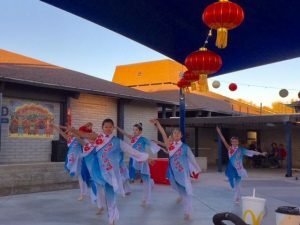 Visit this page and read the FFO Digest to learn more about upcoming Chinese Immersion program events and volunteer opportunities. Student art displayed throughout the school–thank you Ms. Carton! Stay tuned for news on next year’s festival, the Year of the Rat! Sunrise families, please visit our Chinese Resource page for links to websites, specialized apps for students to enhance their exposure to the Chinese language, and more info about local Chinese language and culture. All meeting agendas and minutes are available for public review. Donate via MSA! Donate via PayPal! Shop at Amazon - every purchase earns 4-10% for Sunrise kids!